Plain, flat base. Narrow piriform body. 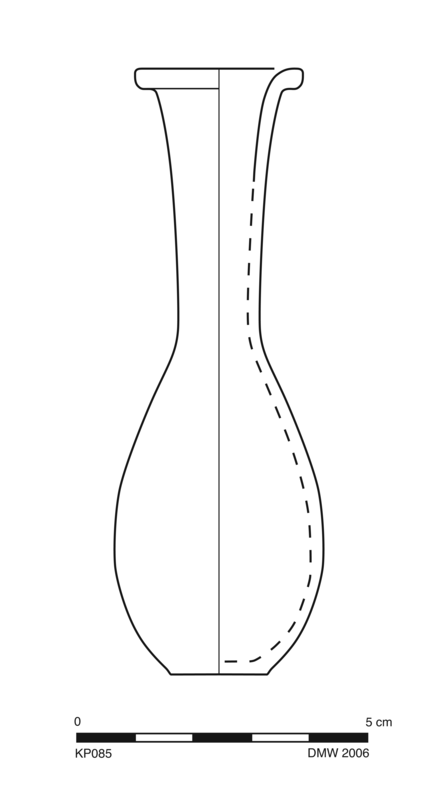 Cylindrical neck flares upward; everted, rounded rim with vertical outer face. Fabric and firing same as KP082. Thin, uneven, matte slip same color as fabric over roughly one-half of vessel. Intact. Slight film of encrustation across body.